Formed from four oceanfront communities in 1968, North Myrtle Beach encompasses the neighborhoods of Ocean Drive, Cherry Grove, Windy Hill and Crescent Beach. 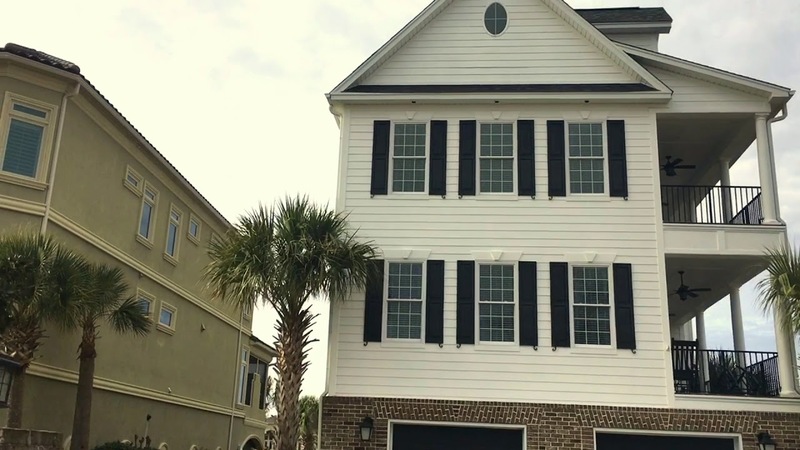 Homebuyers interested in North Myrtle Beach real estate can expect to find an upscale community of neighbors who enjoy a more laid-back pace of life, away from much of the hustle and bustle of Myrtle Beach. The community offers residents a resort-style feel while still providing abundant shopping, dining and entertainment venues at Barefoot Landing. North Myrtle Beach is also where you’ll find the popular regional attractions Alligator Adventure and T.I.G.E.R.S. Preservation Station. North Myrtle Beach is the birthplace of the South Carolina state dance, The Shag. Residents get their shag on at the legendary Fat Harold’s Beach Club. Over half the population in the area is 40 years old or older, making for a quieter community known for being more classy and discerning than other communities along the Grand Strand. The city is also home to the Grand Strand’s only House of Blues location and the famous Alabama Theatre. Buyers interested in North Myrtle Beach real estate will find a wide range of options available. From oceanfront condominiums to quiet cul-de-sacs, the area offers one of the most diverse housing markets of the Grand Strand. Condominium communities like Ocean Keyes and Bay Watch Resort are popular choices for residents on-the-go or investors looking to tap into the vacation rental market. Buyers in the market for luxury should put North Beach Plantation at the top of their list. The master-planned community features upscale single-family homes, mid-rise condominiums and high-rise homes with panoramic ocean views in North Beach Towers. Homebuyers in search of a more relaxed family-friendly setting will find plenty to consider in Tidewater Plantation and Seabrook Plantation. North Myrtle Beach is part of the Horry County School District and shares a school system with Little River, Longs and Atlantic Beach. North Myrtle Beach High School offers Career and Technology (CATE) courses in business, culinary arts and sports medicine. The school also partners with Horry-Georgetown Technical College to offer Pace courses to students in grades 10-12 for college credit. The high school houses a nationally-ranked mock trial team and many unique clubs and activities, including Robotics Club and Interact Rotary Club. Homebuyers seeking upscale resort-style living close to unique local venues and colorful nightlife will find exactly what they’re looking for in the North Myrtle Beach real estate market.